We all wish we had unlimited time to explore the world, but in reality, traveling is often trying to squeeze in as much as we can in a short space of time. To make the most of your time in Israel, tourist often best to take an organized tour to israel. You can’t come to Israel without visiting the wonderful city of Tel Aviv. 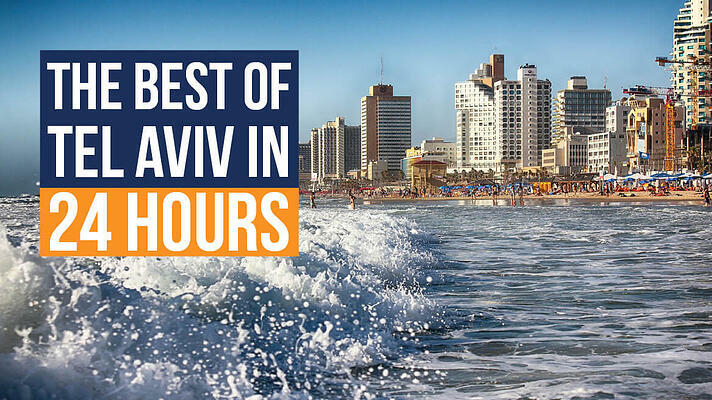 So here it is… How to see the best of Tel Aviv in 24 hours. Don't miss anything, enjoy and come back for more! If Jerusalem is the historic capital of Israel and a focal point for the three main monotheistic religions then Tel Aviv offers the modern commercial and hedonistic alternative. Often called the City that never sleeps, this is the beating heart of the country. Tel Aviv is the financial and technological center of Israel, the streets and cafes are full of young people, new ideas and creativity. Tel Aviv is Israel’s second largest city so there is always something to see or do. You would need days and days to see it all, but here’s how to see the highlights in just 24 hours. To get how a country or a city works, the first place to visit is always a market. Luckily, Tel Aviv has many and all are little pockets of color, aroma and life. The largest and perhaps the most famous one is the Carmel Market, open daily except on Saturday. You can find all kinds of local products there, from fresh fruits and vegetable, spice mixes, baked goods, clothes, homewares and even electronics. The hustle and bustle will instantly bring you into the atmosphere of the city. The Levinsky Market is smaller but very authentic, making it easy to start talking with locals around a market stall. This market specializes in food, more specifically spices, nuts, dried fruits and other traditional dishes and pastries. The scents in the Levinsky Market are mouth-watering and each market owner has a story to tell and something special on offer, so just ask! With your hands all sticky from delicious Israeli pastries, use the quieter morning time to walk around the city center. A great area for people watching and good restaurants is the famous Dizengoff Street. A little further, Dizengoff Square often features expositions of young local artists or hosts antique flea markets. 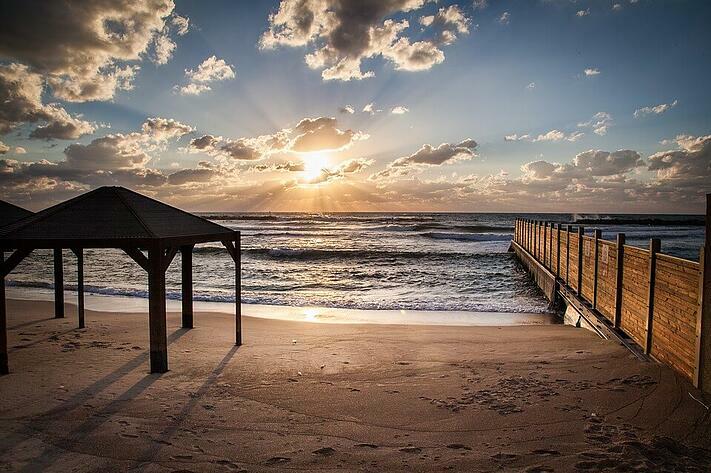 Tel Aviv has several awesome beaches. You’ll need to pay to rent a beach chair or parasol but they are beautiful and offer other features like playgrounds. Those might be better for families. The beaches are busy, especially on the weekend but you’ll always be able to find a quiet spot. If you're into water sports, Tel Aviv has everything to make you happy: scuba diving, glass bottom boats, snorkeling and surfing. The most famous spot is Gordon beach, but don't be afraid to explore the less known areas! If you have time during the afternoon, another great spot of interest in the city is the Tachana, or the Train Station. This old station has been transformed into a pretty plaza, still retaining all the original features, but now filled with shops and good restaurants. Perfect for a drink or a snack! As the end of the day approaches, steer your wandering feet to the Jaffa Promenade running between the northern part of Tel Aviv and Old Jaffa. This is a fourteen kilometers promenade, so choose a piece of it depending on what suits you best. Along the promenade, there's benches for visitors wanting to watch the sun set over the sea (a truly spectacular show from this particular point of view in the city). You'll also see locals hanging out and street performances along the way. The Jaffa Promenade is always alive whatever the time of day or night, but it's at its best (and most romantic) at sunset. For a late meal, you can take a taxi to the Old Jaffa Port and eat near the water. The sight is incredible, the atmosphere vibrant and warm evening will leave you with a unique souvenir from this short, but eventful, time in Tel Aviv, the heart of Israel!